The Best Real Estate blogs from thousands of top Real Estate blogs in our index using search and social metrics. Data will be refreshed once a week. Also check out Real Estate Podcasts and Real Estate Investing Youtube Channels. 2.7 Redfin Real-Time - Real estate on Wall Street, Main Street and your street. 2.104 Portland Real Estate Blog | The Turner Team Inc.
Real Estate newsletter is a comprehensive summary of the day's most important blog posts and news articles from the best Real Estate websites on the web, and delivered to your email inbox each morning. To subscribe, simply provide us with your email address. About Blog Zillow is the leading real estate and rental marketplace dedicated to empowering consumers with data and knowledge around the place they call home. Zillow serves the full lifecycle of owning and living in a home: buying, selling, renting, financing, remodeling and more. Facebook fans 2,207,683. Twitter followers 364,029. Austin, Texas About Blog Keller Williams Realty, Inc. is the world's largest real estate franchise by agent count, with approximately 800 offices and more than 150,000 associates across the the Americas, Europe, Africa and Asia. The company has grown exponentially since the opening of the first Keller Williams Realty office in 1983, and continues to cultivate an agent-centric, that rewards associates as stakeholders. Facebook fans 141,970. Twitter followers 107,537. U.S. About Blog REALTOR® Magazine, print and online, is REALTORS®' best source of information on how to achieve business success. The magazine and Web site advance real estate industry best practices, bring expert insights to significant trends, and provide REALTORS® with timely decision-making tools on business purchases and strategies. REALTOR® Magazine is published by the National Association of REALTORS®. Facebook fans 148,676. Twitter followers 226,203. Emeryville, CA About Blog Inman News is the leading independent real estate news provider. We offer daily news and technology advice as well as information-based products and services for real estate leaders, technology professionals, and consumers. Discover the latest realtor and broker news and trends you need to stay ahead. See why thousands of pros count on Inman's real estate news everyday! Facebook fans 143,258. Twitter followers 162,437. San Francisco, CA About Blog Real estate investing landlords landlord borrowing lending mortgages foreclosure loan houses house apartment financing loans buying a house foreclosures. Facebook fans 1,216,504. Twitter followers 582,351. 7. Redfin Real-Time - Real estate on Wall Street, Main Street and your street. National Real Estate Brokerage About Blog Redfin is a real estate brokerage that is on a mission to reinvent real estate in the consumer's favor. At Redfin Real-Time, we support this mission by giving our readers a one-stop shop for everything they need to know about owning, buying and selling a home. Facebook fans 409,280. Twitter followers 50,485. Australia About Blog Realestate.com.au is Australia's No.1 property site for real estate. Find the latest homes for sale and rent as well as property news & real estate market data. Subscribe to keep up with the the latest property & real estate news with a focus on information for buyers, property investors, sellers and the Australian real estate market. Facebook fans 550,680. Twitter followers 73,254. About Blog The Information Central Blog provides information on research studies, Web sites, books, news, tips, and other resources of interest to the real estate community. Facebook fans 139,116. Twitter followers 24,276. New York City About Blog Find a new home. Search real estate listings to buy, sell or rent a house, apartment or condo in New York. Follow us to keep up with articles on Real Estate from New York Times. Facebook fans 16,630,827. Twitter followers 42,372,013. Facebook fans 5,607,311. Twitter followers 15,004,541. About Blog Residential Real Estate News for 43 different markets around the nation from The Business Journals. Facebook fans 24,483. Twitter followers 41,665. Global About Blog Real Estate news on mortgage rates, loan refinancing, home sales and housing market tips from CNNMoney. Real Estate calculators for loan refinancing, mortgage payments, home price per square foot and more. Facebook fans 5,595,136. Twitter followers 71. Los Angeles, CA About Blog Real estate news for Los Angeles, Southern California and beyond, including Hot Property (celebrity homes), home tours, and more. Facebook fans 2,759,583. Twitter followers 3,295,014. About Blog Find the latest news, headlines, blogs and watch video about real estate, housing, mortgages, refinancing, apr and real estate markets from CNBC.com. Facebook fans 3,059,547. Twitter followers 3,013,082. Seattle, WA About Blog Read the latest news about residential and commercial real estate in the Seattle area and Pacific Northwest. Facebook fans 383,025. Twitter followers 620,644. About Blog Commercial Real Estate News for 43 different markets around the nation from The Business Journals. Facebook fans 24,482. Twitter followers 41,665. Madison, NJ About Blog Century 21 Real Estate LLC is the franchisor of the world's largest residential real estate sales organization. Follow CENTURY 21 to find real estate property listings, houses for sale, real estate agents, and a mortgage calculator. We can assist you with buying or selling a home. Facebook fans 434,432. Twitter followers 118,407. Tokyo About Blog RealEstate.co.jp's aim is to help people interested in investing or moving to Japan to become more informed about the market here - how to make money, how to save money and what our experts have to say about renting and buying in Japan. Facebook fans 81,313. Twitter followers 573. Worldwide About Blog For the best in luxury homes for sale and luxury vacation rentals, visit Luxury Real Estate, home of the finest real estate professionals from around the world, and the listings they represent. Facebook fans 275,250. Twitter followers 16,329. Australia About Blog RealestateVIEW.com.au is one of Australia's leading real estate sites, providing buyers and renters with hundreds of thousands of properties. Our aim is to make it as easy as possible for you to find your dream home faster. And we want to make sure that you can access the knowledge you need to make smart, informed decisions. Facebook fans 30,890. Twitter followers 17,972. Global About Blog Sotheby's International Realty Affiliates LLC selectively grants franchises to independent real estate companies meeting strict qualifications. Sotheby's International Realty offers luxury real estate and homes for sale worldwide. Explore our collection of international real estate and find the luxury home that meets your unique lifestyle. Facebook fans 88,146. Twitter followers 23,045. Charleston, SC About Blog BoomTown is a real estate sales & marketing software company that helps real estate agents and teams close more deals. This real estate blog focuses on emerging strategies to elevate your business. BoomTown believes technology can make real estate simple. Our goal is to constantly innovate and share knowledge to drive the future of real estate. Facebook fans 18,306. Twitter followers 5,415. San Francisco, CA About Blog CommercialRealEstate - Leasing and Sales of Retail, Office, Multi-Unit Residential, Industrial Properties and Land. Facebook fans 1,087,507. Twitter followers 470,981. Facebook fans 446,305. Twitter followers 189,265. Fairfax, VA About Blog George Mason University's School of Business strives to advance real estate research and education in real estate development and finance through its Center for Real Estate Entrepreneurship and its MS in Real Estate Development. Masters in real estate development admissions tips, real estate career guidance, and professional development opps from faculty and students. Facebook fans 4,065. Twitter followers 2,700. San Francisco About Blog Buying or selling a home? We use real estate agent reviews, actual home sales data, and historical performance to connect you with the perfect agent. Hundreds of articles, guides, tools, and advice from top agents all over the U.S.
Facebook fans 9,396. Twitter followers 979. Ithaca, New York About Blog Cornell's Baker Program in Real Estate offers a comprehensive, professional graduate level curriculum that educates the next generation of real estate industry leaders taught by the largest on-campus real estate field faculty in the country. Facebook fans 583. Twitter followers 576. Western U.S. About Blog Windermere Real Estate is a family owned company, founded in 1972. We understand that buying or selling a home is a highly personal decision. So whatever your needs are, the goal is to make your real estate experience uncommonly rewarding. Facebook fans 14,039. Twitter followers 2,293. Las Vegas, NV About Blog Tips for improving your real estate knowledge and experience. We discuss the latest real estate trends, tips for saving money, how to find the right realtor, interior design, and more. Facebook fans 19,660. Twitter followers 4,644. About Blog REIClub offers a vast collection of information and resources about all things pertaining to real estate investments. Our mission is to help educate and empower real estate investors by providing quality tools, resources, and information that will enable investors to grow their real estate business. Facebook fans 30,765. Twitter followers 14,341. Beverly Hills, California About Blog The Agency is a full-service, luxury real estate brokerage and lifestyle company that has redefined and modernized the real estate industry. Our spirit of innovation has led the way in the advancement of our industry, and we offer a fresh forward-thinking approach that reaches all corners of the globe. Facebook fans 17,262. Twitter followers 13,314. Berkeley, CA About Blog iHomefinder is the leading national provider of online property search technology and MLS® Systems data for real estate websites. Gain more Real Estate Leads with our custom IDX solutions for your Real Estate Website. By using our advanced IDX technology, your leads will increase drastically. Facebook fans 1,347. Twitter followers 1,643. Ronkonkoma, NY About Blog At KCM, our mission is to change the way real estate advisors educate and serve their clients. We hope you'll join the thousands of real estate professionals across the country who utilize the information and knowledge available through KCM to help grow their businesses and consistently raise the bar of what it means to be a true real estate professional. Facebook fans 107,013. Twitter followers 13,343. Facebook fans 18,973. Twitter followers 552. About Blog XACT Contact offers real estate CRM and marketing all in one integrated solution. Mission to help real estate sales professionals earn more referrals and repeat business by developing deeper and broader relationships with their clients, prospects and referral sources. Facebook fans 4,993. Twitter followers 3,014. Chicago, IL About Blog Chicago real estate by Dream Town Realty. Buy and Sell Chicago homes, lofts or condos in Chicago neighborhoods with the best real estate agents. Get real estate news about new developments, information on buying and selling, and keep up to date with what's happening in Chicago at the Dream Town blog. Facebook fans 86,012. Twitter followers 2,026. About Blog ndianapolis, IN Real Estate Listings and Indiana Homes for Sale. Search all of the active homes for sale in the Indianapolis MLS. Find your dream home! Get Latest news, tips and information on the Indianapolis and Central Indiana real estate market. Facebook fans 9,294. Twitter followers 1,601. Southern California About Blog First Team® is the largest independent brokerage in SoCal, voted Orange County's Best Real Estate Company 6 years in a row. First Team® Real Estate is the #1 independent real estate company in Southern California because we capture the highest sales volume and provide the best tools for selling your home. Facebook fans 6,714. Twitter followers 2,249. USA About Blog Inside Real Estate provides the most complete online tool for Real Estate Agents. We leverage all of the latest web technologies to create Professional Blog-Based Real Estate Sites that allow you to achieve higher results. We go far beyond just providing a tool, though, as offices can bring our trainers in for direct, personalized, in office trainings. Facebook fans 3,045. Twitter followers 5,624. San Francisco Bay Area About Blog Real estate experts from Pacific Union share their knowledge of the Bay Area real estate market and conditions throughout San Francisco, Marin, and the East Bay. Get News and real estate insights from Pacific Union, one of the Bay Area's most successful real estate firms. Facebook fans 3,058. Twitter followers 6,336. Colorado Springs, CO About Blog Great Colorado Homes is a real estate brokerage specialize in advanced marketing and helping people buy and sell real estate in Colorado Springs. Tips, articles, and Realtor advice for home buyers and sellers in Colorado Springs, CO and surrounding real estate areas. Facebook fans 5,009. Twitter followers 7,559. Gulf Shores, AL About Blog I'm Jeff Nelson, a Realtor with IXL Real Estate, working buyers and sellers all over Baldwin County. This is a blog on real estate information for Baldwin County including Gulf Shores, Orange Beach, Fairhope, Daphne, and Spanish Fort. Facebook fans 64. Twitter followers 87. About Blog Keep up to date and ahead of the game on the latest housing news and property trends across all of Australia with First National Real Estate property blog. Facebook fans 4,258. Twitter followers n/a. Facebook fans 66,229. Twitter followers 425. Noida About Blog Madhyam Buildtech, a well known real estate/property consultant in Noida Faridabad Gurgaon Dehradun offer residential & commercial properties. Madhyam started its mission with a vision to multiply the wealth and well-being of its clients by providing professional real-estate consultancy services. Facebook fans 2,033. Twitter followers 89. Houston, Seattle About Blog GeekEstate Blog is a resource for real estate professionals who want to get the most from technology and digital marketing. Our mission to provide a transparent platform for real estate professionals to navigate the landscape of re technology and marketing tools. Facebook fans 342. Twitter followers 1,827. Rochester, NY About Blog Rochester's Real Estate Blog is the leading real estate blog in Rochester, NY. Follow us to keep up with tons of for-sale listings, local real estate tips, and more! Facebook fans 459. Twitter followers 9,457. Eagle, ID About Blog Hughes Real Estate Group of Silvercreek Realty Group is the premier real estate team in Boise, Idaho and the rest of the Treasure Valley. Use our innovative website features to search current real estate listings and homes for sale in Idaho. Our experienced agents will help answer any questions that you may have and can help you find that perfect home. Facebook fans 31,843. Twitter followers 52. Jupiter, FL About Blog Waterfront Properties specializes in waterfront, oceanfront and golf real estate in Jupiter, Palm Beach Gardens, Stuart & surrounding areas in Southeast FL. Our Real Estate agents can assist you with buying & selling real estate in waterfront communities. Facebook fans 3,231. Twitter followers 3,279. Palo Alto, CA About Blog RealCrowd puts the income-producing benefits of commercial real estate into your hands. The online platform was created by experienced commercial real estate investment professionals to allow you to decide where your money is invested. RealCrowd's mission is to provide investors with efficient access to commercial real estate and simplify the ownership process. Facebook fans 838. Twitter followers 3,096. Texas About Blog Lifestyles Unlimited is the premier education and mentoring group for real estate investing. Since 1990 we have been teaching our program to both the beginner and advanced investor. Our mission is to teach our members how to supplement or replace their earned income with passive income; thereby reducing their dependence on jobs, pensions, social security and savings programs like IRAs and 401(k)s.
Facebook fans 8,337. Twitter followers 3,167. USA About Blog Norada Real Estate Investments helps take the guesswork out of real estate investing. By researching top real estate growth markets and structuring complete turnkey real estate investments, we help you succeed by minimizing risk and maximizing profitability. Get News, advice, opinion and insight for every level of real estate investor. Facebook fans 2,697. Twitter followers 120,515. Apple Valley, MN About Blog Aspen's top full-service residential real estate company devoted to excellence, innovation and sophistication in the home buying and home selling market. Facebook fans 854. Twitter followers 589. Raleigh, NC About Blog Raleigh Realty is a North Carolina. Our Real Estate service is for people who need to sell their homes, fast and for top dollar. Pairing up with the right agent is going to be the difference in your home selling or sitting. Get local realtor® tips, articles, and advice, for buyers and sellers shopping in the Raleigh Real Estate market as well as surrounding areas. Facebook fans 1,034. Twitter followers 3,291. San Diego, CA About Blog CT Homes, LLC is the premiere real estate solutions company, and since our inception we have been helping homeowners and improving communities in each and every city we work in. Through our extensive knowledge of the business, network of resources, and years of expertise, we are able to assist homeowners with a wide variety of real estate problems. Facebook fans 10,979. Twitter followers 2,183. Richmond, VA About Blog Real Estate Success Podcast is your ultimate source of tips and strategies that can help you short cut your path to success. Real Estate Success Podcasts cover all aspects of real estate including realtor strategies, wholesaling houses, flipping houses, creative financing, private lending, self-directed IRAs and more! Each episode will expand your thinking and help you succeed massively. Join your host, real estate investor, author and entrepreneur, Jim Ingersoll. Facebook fans n/a. Twitter followers 69,379. About Blog Real Estate blogs for Marketing Tips & Hints to help Realtors get better results from their real estate listings to increase their sale and knowledge. Facebook fans 693. Twitter followers 12. About Blog We are a boutique luxury real estate brokerage in Sarasota, Florida, committed to stellar representation and forward-thinking marketing. DWELL embraces technology yet maintains a strong human connection to the clients we represent. Get the latest Sarasota real estate news. Updated weekly with recent sales, market statistics, chic new listings and other Sarasota, Florida lifestyle news. NYC CT Hamptons DC Miami LA Aspen About Blog Residential Real Estate Appraisal, Research, Insights, Data and Other Resources. Facebook fans n/a. Twitter followers 17,487. Tallahassee, FL About Blog Tallahassee real estate - homes for sale in Tallahassee FL. Selling or buying a home with Joe Manausa in Tallahassee is easy. Highest consumer rated real estate agents. Facebook fans 9,553. Twitter followers 151,339. Phoenix Arizona About Blog Jay Thompson's blog on real estate. Phoenix, state and national real estate happenings. Plus the occasional random musing. Facebook fans 1,083. Twitter followers 717. Denver, CO About Blog Best practices and technology updates to help you up your game to become a real estate Pro Agent. Pro Agent Solutions designs and develops some of the most innovative & robust software solutions for real estate professionals in the market today. These integrated products are designed to deliver maximum value & rapid return on investment. In fact, our clients have experienced dramatic increases in efficiency, customer satisfaction, market share, & revenues since deploying our software solutions. Facebook fans 295. Twitter followers 184. Lincoln, NE About Blog HOME Real Estate is Lincoln's largest full-service real estate company and has been a member of the Lincoln business community for decades. Mission to provide each individual outstanding service and exceptional opportunities in real estate through our commitment to professional and ethical performance by our entire organization. Facebook fans 1,662. Twitter followers 365. Bend, OR About Blog Birtola Garmyn High Desert Realty brings you the latest insights on what is happening in Bend, Oregon. Find information about Durham Region real estate and more! Find all Bend Oregon homes for sale and Bend, Oregon foreclosures from every listing from every company! Check out Birtola Garmyn Real Estate Consultants. Facebook fans 2,560. Twitter followers 216. Huntsville, Alabama About Blog Amanda Howard Real Estate is Huntsville's most innovative real estate team. Huntsville, Alabama Real Estate provides information for both buyers and sellers! Get regular updates on the Huntsville market from Amanda Howard Real Estate. Facebook fans 3,883. Twitter followers 1,308. Madison, WI About Blog This Madison real estate blog offers the best information, news and views available on the neighborhoods and properties for sale in the Madison. Facebook fans 518. Twitter followers 52. About Blog House Solution Realty is the premier luxury full-service brokerage firm in Cairo, and a proud member of the Real Estate Board of Egypt. Leveraging its global brand recognition, real estate vision and tremendous resources. Facebook fans 1,555. Twitter followers 30. Tampa, Florida About Blog A real estate blog providing information about the Tampa Bay Florida area & any real estate or mortgage tidbits pertaining to real estate. Our area of focus is on Hillsborough County, Pasco County, Pinellas County, and part of Hernando county. We will also discuss here contemporary real estate issues, what's new and cool with technology, opinions, market updates, national news of interest, advice. Facebook fans 231. Twitter followers 300. Portland, Oregon About Blog Living Room Realty is a group of professional, experienced, licensed real estate agents who specialize in representing buyers and sellers in Portland, OR. Facebook fans 2,536. Twitter followers 1,740. Philadelphia, PA About Blog The PhillyLiving.com real estate team is always available to discuss buying or selling a home in Philadelphia. Follow our local MLS® listing to find your dream home or condo in Philadelphia. Facebook fans 3,190. Twitter followers 327. About Blog Triangle Real Estate Group has achieved success in assembling one of the region's most experienced sales teams, with two locations around the Triangle. Best website to easily search homes for sale in the Raleigh, Durham, Wake Forest, Triangle Areas. Brought to you by the Triangle Real Estate Group, a Raleigh Area based Real Estate Firm. Facebook fans 1,820. Twitter followers 429. Maine About Blog Legacy Properties Sotheby's International Realty is the Leader in Maine Luxury Real Estate, including Waterfront and Oceanfront properties. Discover Real Estate in Maine from Legacy SIR. Follow our Selection of luxury and waterfront homes throughout Maine and NH. Facebook fans 12,889. Twitter followers 5,047. Maui, Hawaii About Blog Island Sotheby's International Realty is a team of real estate professionals serving all areas of the island, with offices in Wailea, Napili and Makawao. Learn more about the Maui real estate market, new listings, market trends, and more, with an emphasis on Wailea, Kapalau, Upcountry, Makena, Kaanapali, and more. Facebook fans 371. Twitter followers 1,223. Seattle, WA About Blog Seattle's original real estate blog. Talking online real estate since March 2005. Facebook fans 642. Twitter followers 853. Madison, NJ About Blog Better Homes and Gardens® Real Estate is a dynamic real estate brand that offers a full range of services to brokers, sales associates and home buyers & sellers. Using innovative technology, sophisticated business systems and the broad appeal of a lifestyle brand, Better Homes and Gardens Real Estate embodies the future of the real estate industry while remaining grounded in the tradition of home. Facebook fans 59,612. Twitter followers 45,541. About Blog The essential companion for anyone looking to buy a home. Whether you're taking your first tentative steps into the market, or you're thinking of trading up or downsizing, you'll find Homebuyer packed full of useful tips, entertaining features and up-to-the-minute news. Edmonton, AB About Blog The Edmonton real estate blog is published by Liv Real Estate. This blog allows us the opportunity to connect daily with our readers along with the ability to connect with newcomers, who are looking for reliable information without feeling as though you're being baited into a high-pressure sales pitch. Facebook fans 1,820. Twitter followers 1,212. Louisville, KY About Blog Trending Real Estate related articles and tips for both buyers and sellers in the Louisville Kentucky area. Facebook fans 243. Twitter followers 583. Portland, OR About Blog This is a Portland real estate blog written by a top Portland real estate agent, Stephen FitzMaurice, Realtor. I regularly report on the Portland real estate market, including short sale and foreclosure news. I give home selling and home buying tips. I also write informative articles on Portland neighborhoods. Finally, I write to inform the general public about us, real estate agents. Facebook fans 523. Twitter followers 431. Tampa, Florida About Blog Licensed Real Estate Agent since 2002, Tampa Bay’s own Rae Catanese regularly gives expert advice and insider tips about the Tampa Bay real estate market. Since 2006, the Tampa Real Estate Insider blog has offered home buyers, sellers and those relocating to Tampa Bay with in-depth analysis of hot topics and latest real estate trends. Facebook fans 1,336. Twitter followers 1,709. Bend, Oregon About Blog Bend Premier Real Estate was founded on the principle that our clients deserve service based upon trust, integrity, and our commitment to always go the extra mile. At Bend Premier Real Estate we believe our clients deserve premier service. “Integrity, Experience, Results” is our motto. Serving all of Central Oregon. Facebook fans 513. Twitter followers 150. St. Paul, MN About Blog Realtor, Boardman Realty, specializing in St. Paul Minnesota, and the Northern Suburbs . Small locally owned client focused company, with experienced Realtors ready to help. Blog by Teresa Boardman. Facebook fans 339. Twitter followers 8,854. About Blog Cash for houses Maryland is a service that provides you with a quick all cash transaction when you need to sell your home. About Blog Learn the story behind the most iconic homes in the world, step inside celebritiy homes, and freshen up your "dream home" material. Fancy Pants Homes rounds up the most striking luxury properties, quirky homes, dream penthouses and sprawling mansions. Take a peek. Facebook fans 328. Twitter followers 664. About Blog At Chicago Real Estate Source our team of agents are specialists in Chicago neighborhoods and markets so we are able to provide our clients with the Expertise and Knowledge required to best represent their interests. This is critical for clients who need to make decisions in hours or minutes! Facebook fans 847. Twitter followers n/a. Marin County, California About Blog Marin Realtor & Top Marin Real Estate agent Thomas Henthorne has a proven track record helping clients buy and sell dream homes throughout the bay area. Marin real estate blog featuring Marin real estate news, Marin real estate market updates and lifestyle articles about living in Marin County. Facebook fans 1,007. Twitter followers 670. Temecula, California About Blog Allison James Estates and Homes Keeps You Informed On The Latest in Temecula Real Estate And Updates You On Upcoming Temecula Homes For Sale! Facebook fans 31,050. Twitter followers 1,023. About Blog The MG Group is an award-winning real estate group that has been ranked TOP 50 IN THE NATION since 2011 by The Wall Street Journal & in Real Trends' THE THOUSAND TOP REAL ESTATE PROFESSIONALS. Our mission is to lead every client's real estate transaction with unparalleled levels of expertise, speed and efficiency. Facebook fans 992. Twitter followers 1,272. Coconut Grove, FL About Blog The Real Estate Coconut is the most comprehensive online source for Coconut Grove real estate information. Whether you are looking for the latest sales, trends or homes for sale in Coconut Grove, The Real Estate Coconut has it all at your fingertips. Follow information regarding the Coconut Grove Gated Communities, Coconut Grove Waterfront Homes, Coconut Grove Townhouses, Coconut Grove Condos. Facebook fans 1,098. Twitter followers 702. 104. Portland Real Estate Blog | The Turner Team Inc.
Portland, OR About Blog Portland Real Estate market stats, news, and education from the Turner Team. Complete search access to all homes for sale in Portland, Beaverton, Hillsboro, and more. Facebook fans 949. Twitter followers 164. Seattle About Blog Team Diva is a real estate team in the Coldwell Banker Bain family of brokers with a high level of integrity, market insight and a focus on supporting local businesses and organizations. Our goal is to not just to help you buy or sell a home but to create community in all interactions. Facebook fans 2,137. Twitter followers 2,647. About Blog OC Residential's primary goal is to exceed our clients expectations. We maintain an Internet-based real estate resource supported by a team of area specialists using a consultative approach towards providing peerless customer service. At Irvine Residential Living, our real estate agents go the extra mile in helping our clients buy homes in Irvine, California, well within their budgets. Republic of the Philippines About Blog The Philippine Real Estate Blog That Matters. We Cover Real Estate Related News, Events, Information And Opinions. Facebook fans 718. Twitter followers 54. Boulder, CO About Blog In today's real estate market, choosing the right real estate agent, whether you are buying or selling a home is important. Trustworthiness is among the most important of considerations when today's customers are choosing a real estate agent. Boulder Real Estate Blog, courtesy of Jennifer Egbert. Stay up to date on all of the local market trends with our Boulder real estate blog. Facebook fans 2,911. Twitter followers 2,381. Facebook fans 580. Twitter followers 72. About Blog Great information for anyone seeking an overall feel for the pulse of the real estate market throughout the nation. Facebook fans 633. Twitter followers n/a. About Blog HMS works with Real Estate Professionals nationwide to make the process of selling real estate safer, efficient and profitable through HMS Home Warranties, free customizable marketing materials and E&O Insurance. Get the latest in real estate industry news and realtor trends. Facebook fans 50,173. Twitter followers 1,144. United States About Blog Corporate and Commercial Real Estate blog. Facebook fans 258. Twitter followers 5,450. Vienna, VA 15 miles West of DC About Blog The Belt Team is a nationally recognized team of real estate specialists located in Northern Virginia who collaborate & advocate to create success stories for their clients. We bring you finely honed negotiating skills, an in-depth knowledge of our market and a concern for YOUR priorities. We’re known for our integrity, innovation & expertise. Facebook fans 1,027. Twitter followers 1,831. About Blog Jim Duncan is a licensed real estate Broker in the Commonwealth of Virginia. The goal of this site/blog remains unchanged since its founding in January 2005 – to provide clear, coherent and unbiased analysis of the Charlottesville area real estate market. Miami Beach, FL About Blog Real Estate Ashton Coleman is a Broker-Associate with ONE Sotheby's International Realty Covering Premier Real Estate from Fort Lauderdale & Miami Beach to Key Biscayne. Extraordinary Marketing, Servicing & Sales of Miami and Broward's Finest Properties including Oceanfront Condos, Trophy Penthouses, Luxury Lofts & Waterfront Homes. Offering an Internet Savvy & Innovative Marketing Approach. Facebook fans 4,600. Twitter followers 3,179. About Blog A Blog dedicated to tracking the decline of the greatest asset bubble in US history. Cleveland, Ohio About Blog The Crockett Team is the number #1 Real Estate team at The Howard Hanna Company and #1 Real Estate Team in the State of Ohio! Howard Hanna writes often to update you on the latest in real estate in Greater Cleveland. Facebook fans 1,645. Twitter followers 239. The San Fernando Valley About Blog A blog about Studio City real estate, Burbank real estate, Los Angeles, and the San Fernando Valley. From the sublime to the ridiculous! Facebook fans n/a. Twitter followers 699. About Blog Salt Spring Island Real estate. Oceanfront properties, estate properties on the Gulf Islands, BC, Vargas, Mayne, Galiano & Pender Islands. Facebook fans 962. Twitter followers 2,134. Lake Ridge, Virginia About Blog Peggy James and Patty Blackwelder are Northern Virginia area experts. We have been helping folks buy and sell homes for the past thirty years from Alexandria to Fredericksburg, Virginia. We know the neighborhoods, floor plans and the new home communities. Our goal is to make the process of buying or selling your home as stress free as possible while negotiating the best possible outcome for you. Facebook fans 868. Twitter followers 256. Denver, CO About Blog RE/MAX, one of the leading real estate franchise companies with the most productive sales force, in over 100 countries. RE/MAX was founded in 1973 by Dave and Gail Liniger, real estate industry visionaries who still lead the Denver-based global franchisor today. Our mission is to be the worldwide real estate leader, achieving our goals by helping others achieve theirs. Everybody wins. Facebook fans 164,035. Twitter followers 95,450. Paradise, CA About Blog The Real Estate Tomato is the collective experience of over 5 decades of marketing expertise in the real estate and internet industries. Together we have built a business model around world-class education, superior product, a connected community and immediate service. Our Mission to Provide Realtors with the Tools & Skills to: Generate Leads, Incubate Clients, Build Trust, & Develop Knowledge. Facebook fans 4,908. Twitter followers 8,328. About - The magazine and Web site advance real estate industry best practices, bring expert insights to significant trends, and provide REALTORS with timely decision-making tools on business purchases and strategies. About - Zillow is the leading real estate and rental marketplace dedicated to empowering consumers with data and knowledge around the place they call home. Zillow serves the full lifecycle of owning and living in a home: buying, selling, renting, financing, remodeling and more. About - The Real Deal Magazine provides cutting edge news on the real estate market in New York City and beyond. About - Property Industry Eye is dedicated to the publication of independent, unbiased, factual and accurate news for the UK property market. About -The UK's most visited estate agents! Your Move estate agents can help you buy, sell, rent and let property with branches across the UK. Keep up to date with property trends and market analysis, brand news, articles and competitions. About - Canadian Real Estate Wealth is the leading independent property investment magazine and website in Canada. Canadian Real Estate Wealth Magazine brings real estate investment news, market updates and market reports for free. Find the latest Canadian real estate trends. About - We at Point2 Homes cover real estate market trends and news, and develop original studies on many real estate topics such as local, national and international housing, luxury real estate and even buying and selling tips. Zoocasa Blog - Home Buying & Selling Tips, Real Estate Market Trends & News. About - Zoocasa makes buying and selling a home smarter and faster by combining modern technology with a full-service real estate team. Buying & selling a home can be a complicated process. Join the Zoocasa real estate blog to receive tips, tricks, insights and analysis to help simplify your real estate journey. About - Toronto's fastest growing real estate blog. Featuring the latest in Toronto real estate news, listings, and opinions. About - Realestate.com.au is Australia's most popular real estate website and community. Whether you're looking to buy, sell, rent or share, we have the tools available to help you find the perfect place. Finding and buying your first property is akin to running a marathon. About - RealestateVIEW.com.au is one of Australia's leading real estate sites, providing buyers and renters with hundreds of thousands of properties. Our aim is to make it as easy as possible for you to find your dream home faster. About - Smart Property Investment is the premier source of news, intelligence and information for property investors and home buyers. About - Your Investment Property is the intelligent property owner’s choice when it comes to learning about Australia’s property market. Your Investment Property provides you with the most complete set of property data, independent commentary and thoroughly-researched articles about all aspects of investing in property in Australia and abroad. About - Founded in 2006, with the objective of simplifying property buying & selling, IndiaProperty.com is India’s No.1 property portal. About - RealestateIndia.Com is a solution to all what bothers to people who all are dealing in properties or people who all are searching property. As one of the leading property portals, Real estate India has turned itself with pulse of real estate sector. About - House of Hiranandani (HOH) is a leading business conglomerate, developing iconic destination Real Estate projects across India. About - Keys90.com is India’s most trusted real estate service provider, dealing in a wide range of real estate properties including affordable and luxury flats, residential and commercial plots for rent and sale. 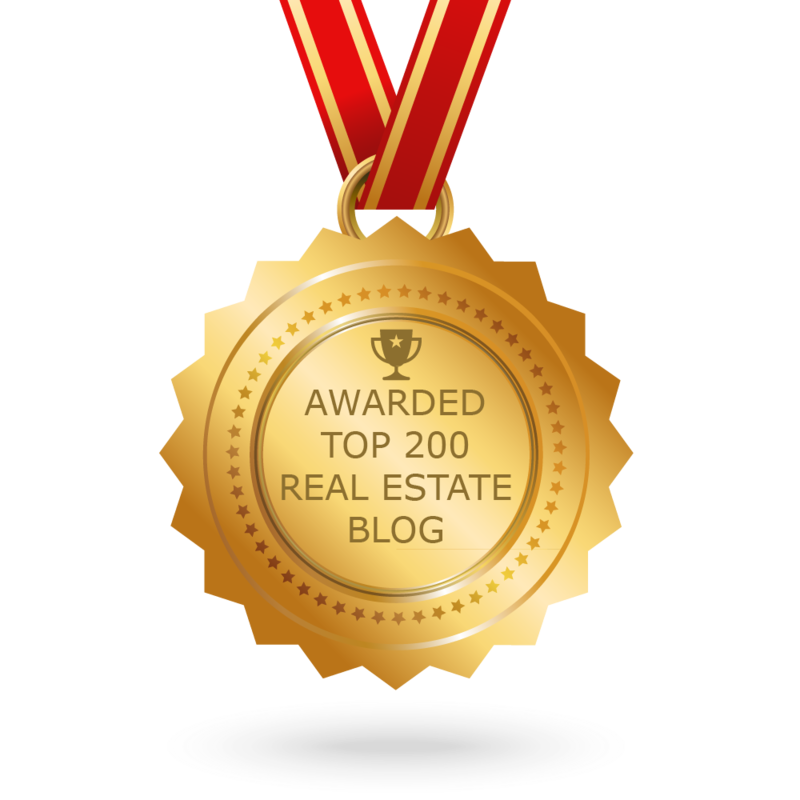 CONGRATULATIONS to every blogger that has made this Top Real Estate Blogs list! 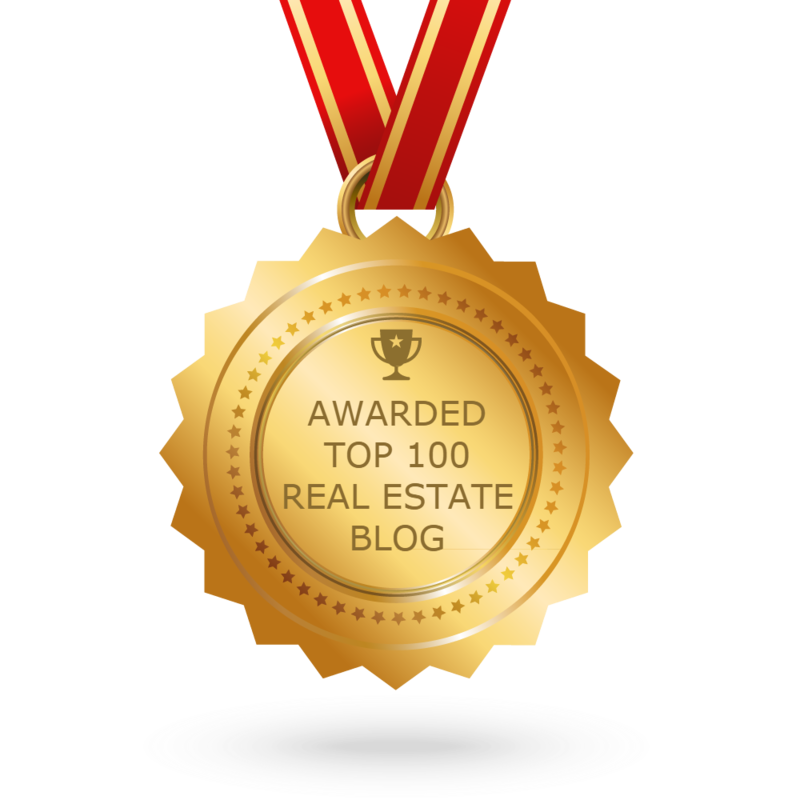 This is the most comprehensive list of best Real Estate blogs on the internet and I’m honoured to have you as part of this! I personally give you a high-five and want to thank you for your contribution to this world.